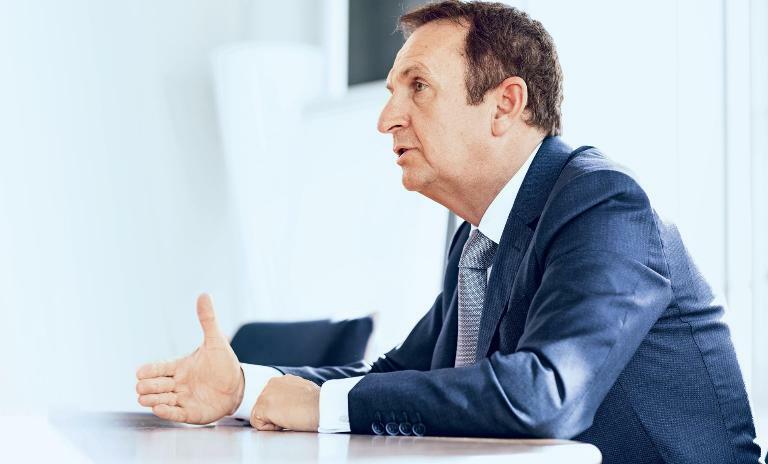 Henkel CEO Hans Van Bylen is taking this flagship German company through its digital transformation and he aims to complete it by 2020. In a wide-ranging interview he shares his plans for investment, why the US is still the most important market regardless of who the president is, and why he gives his staff a 'safe space' to make mistakes. Digitization is becoming more and more important, especially in the consumer goods industry. Henkel, which is based in Dusseldorf, hometown to brands such as Schwarzkopf, Loctite and Persil, is one of the leading players in this business. Hans Van Bylen took over as CEO in 2016 with the aim of getting the company ready for the future. He plans to advance Industry 4.0 – or the digitization and automation of manufacturing – by investing in technology and marketing and ploughing millions into startups. But his vision goes beyond that. Read on to find out why brand identity is ever more important on the internet, where he sees opportunities for growth and what he has learned from past mistakes. Staff should not be afraid to make mistakes here: Henkel CEO Hans Van Bylen. Mr. Van Bylen, you were appointed as CEO at Henkel in May 2016. How are you steering the group towards the future in these increasingly volatile times? We have a diverse and balanced portfolio with three divisions: Adhesive Technologies, Beauty Care and Laundry & Home Care. In November 2016, we defined our new strategic priorities and a set of ambitious, concrete financial objectives for the next four years to 2020. Our focus is on growth, digitization and agility. We have a wide range of projects and measures behind it and we are well on track to implementing them. "Strong brands are still very important – irrespective of whether they are sold in traditional shops or online." Where is it not progressing quite as you wish? We have a turnover of around $24 billion. We have more than 50,000 employees in over 100 countries. 2017 was a successful year for Henkel. Our adhesives business has developed very well thanks to our innovative and highly effective technologies in a variety of industries. We've also performed well in many markets and sectors with our consumer goods business. But the retail business in our Beauty Care division is currently performing below expectations. We're working on creating stronger growth dynamics to this sector. Henkel has a reputation for caution in its acquisitions. What made you pursue the second-largest acquisition in the company's history, the takeover of the US laundry and cleaning products group Sun Products for $3.8 billion? Since the beginning of 2016, we have invested a total of some $7 billion [in acquisitions]. For us, the key factor is whether acquisitions are a strategic fit for us and whether the price is reasonable. And, of course, the company must be available. Sun Products met all these criteria. The acquisition significantly strengthened our business in North America and made us a strong number two in the attractive American detergent market. Which divisions of your company do you think are poised for growth? We want to continue to grow our core businesses organically. However, we are still keeping an eye open for acquisition targets. In both the Beauty Care and Laundry & Home Care divisions there are still opportunities around the world to strengthen our portfolio in a targeted way in individual markets or categories. In industrial adhesives, where we are the global market leader, we primarily acquire new technologies that will enhance our portfolio and that we can then market worldwide. For instance, we recently acquired two companies – Sonderhoff, a manufacturer of foamed-in-place gasketing solutions, and Darex, a leading supplier of sealants and coatings for the metal packaging industry. You want to spend around $180 million on Henkel's startup support program by 2020. What is the focus for this investment and what are the company goals beyond this move? Venture capital is an important area for us, because we want access to innovative technologies and business models. In our consumer goods bussiness, the priority is on areas such as the Internet of Things, social media or e-commerce platforms, through to personalized products and services. In the adhesives division, technological innovations such as 3D printing, functional coatings or printed electronics are taking the lead. We have already secured a number of promising cooperation deals in this area and are actively following them up. Around $24 billion - The turnover that Henkel recorded in the 2017 financial year under Van Bylen's leadership. Your competitors' plans for the future focus on digitization. What plans do you have in this area? We intend to accelerate our digitization within the company to enable us to grow successfully and strengthen our relationships with our customers and consumers. By expanding Industry 4.0 – the digitization of the entire supply chain – we want to optimize processes, making them faster and more efficient. Finally, we have also set ourselves the goal of taking the digital transformation of our company to the next level. To that end, we have established a range of strategic initiatives between now and 2020 and have already made good progress in all areas over the course of 2017. We appointed a chief digital officer in the middle of the year, who reports directly to me and is set to accelerate digitization across all divisions. Henkel's online market is doing much better in Asia than in Europe. Why is this business area so sluggish at home? 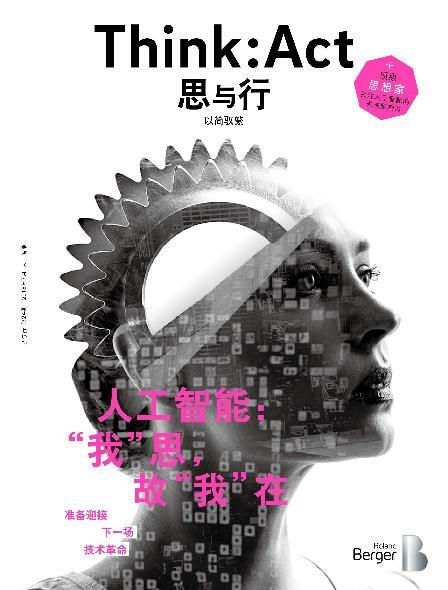 What are you learning from e-commerce in China and Korea? In terms of shopping behavior, Asian consumers are much more digitally advanced than anywhere else in the world. That has really helped us with our Beauty Care business in China. To compete against the market's established companies in this market, we initially took a purely digital route. With great success! Today, more than 50% of our Beauty Care turnover in China comes from digital transactions. However, we see this trend is continuing in other countries too. Internet sales are becoming increasingly important. Henkel is also building on this sales channel. Why are you skeptical about establishing your own online retail outlet? (born in 1961 in Belgium) joined Henkel in 1984 as a product manager. After positions in marketing, he joined the management team in 2005, where he was responsible for the Beauty Care business. In May 2016, he replaced Kasper Rorsted as CEO of Henkel. We are not planning any online sales on our own platform in the field of consumer goods. This is because those wanting detergent or shampoo often buy other everyday items at the same time. Consumers want to order their goods all together and pay for everything at once. Online retailers and our retail partners with their own platforms can do this much more efficiently than we can. However, in the medium term we see a clear trend towards omnichannel concepts. This development means online and physical retail growing together. Evidence of this can be seen today. Established retailers are building up their online channels and investing in e-commerce. At the same time, established online retailers, such as Amazon, are buying up retailers with physical outlets. It's not the same in the industrial sector. Here, we operate our own very successful online platform for adhesives. We are already have a turnover of more than $1 billion per annum and see a good rate of growth. How important is branding for online sales? Strong brands are still very important – irrespective of whether they are sold in brick-and-mortar shops or online. That's why we are focused on strengthening our brands through investment in the products, in innovation and in the brands themselves. It is increasingly important to position our brands consistently in the digital marketplace and to build engagement with customers across different platforms. The US president has extended his "America First" policy to include trade between nations. Are you feeling the effects of this protectionist approach on the US market? The US is a very important market to us. We have more than 8,000 employees there, making products primarily for the US market. In that respect, we are not directly affected by protectionist measures, but it goes without saying that we are in favor of free trade. Around $180 million - The amount that Henkel wants to invest in startups, especially in the fields of technology and e-commerce. We have also seen a re-nationalization process in parts of Europe. What effects do you anticipate with regard to networked European companies? The concept of a unified and strong Europe has suffered in recent years. Many people don't see the benefits it creates. If it comes to a rejection of a united Europe, that will not be conducive to a strong economy. This is also clear from the problems that have arisen due to Brexit. I hope that the political decision-makers will be able to find constructive solutions here. We all benefit from free trade and close cooperation. You have worked for Henkel since 1984. What advantages do you think this long association brings to you now that you are CEO? Are there any disadvantages that come with it too? If you take a look around at the top of other major German companies, you'll see that I'm no exception. A deep understanding of a company, its employees, its customers and products and its culture is a great asset when it comes to shaping the future. It’s also important that you don't think you know everything. That's why it's an advantage to work in a diverse team and encourage open discussion. That always results in better ideas and solutions. Why is it important to you to give your employees "more courage to make mistakes"? I have always enjoyed a great deal of trust and entrepreneurial freedom. That is something I would like to pass on. Our employees around the world have a great deal of potential and should have the courage to try things and implement creative ideas quickly and without complication. That's often how amazing products or campaigns develop. And no one should let their enthusiasm be affected by the occasional setback. What mistakes have you learned from the most? There have been a few projects that we have successfully implemented, where I have asked myself afterwards why we weren't brave enough to have taken this step sooner. It shows that supporting an entrepreneurial approach is a very decisive factor in competitive success.